Part of what makes Still Waters such a peaceful haven is its beautiful setting. 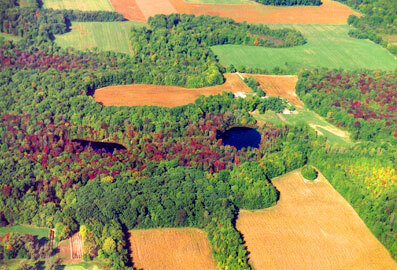 Three quiet lakes reflect the clouds and blue skies, while the green lawns stretch to the edges of the deciduous forest. There are gardens that burst with color in the warm seasons and provide contour and grace in the colder seasons with ornamental grasses and evergreens. 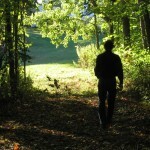 Cleared trails through the woods invite you to wander and admire God’s creative beauty. Beneath the crosses on the hill, you can find the entrance to our labyrinth, which is not to be missed in early spring when thousands of daffodils line its paths. 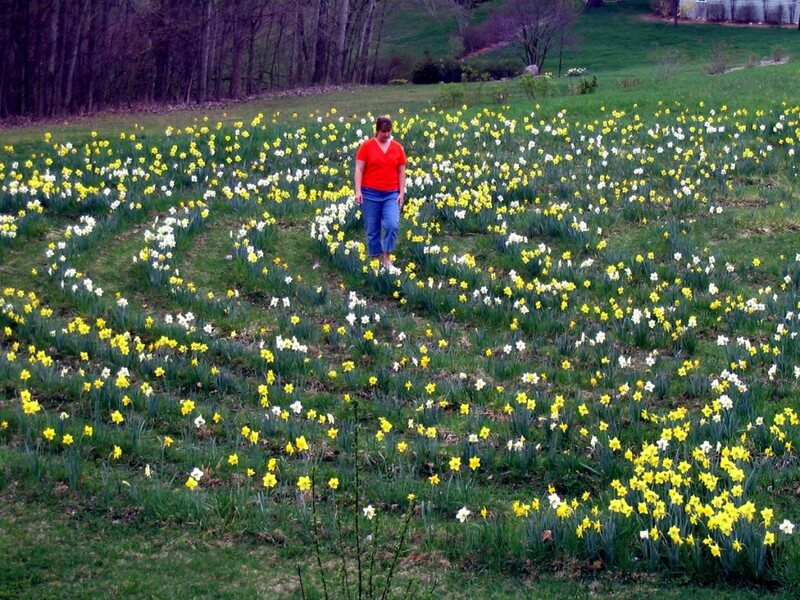 The labyrinth is a walking meditation experience, a metaphor for the journey of life with God. The 400-year old oak tree anchors a swing that overlooks the larger lake and bird feeders scattered around the retreat house welcome the gold finch, cardinal, woodpecker, oriole and others. Still Waters is 71 acres of “God’s lap” and you are welcome to come and sit for a while.